In October 2017, the European Audiovisual Observatory published a report on “Children’s TV channels in Europe” which focuses on the key players in the sector. This report provides an analysis of the supply of children’s TV channels in Europe, their performance in terms of audiences and the main market players controlling them. The scope of the analysis is pan-European with specific focuses at country level. 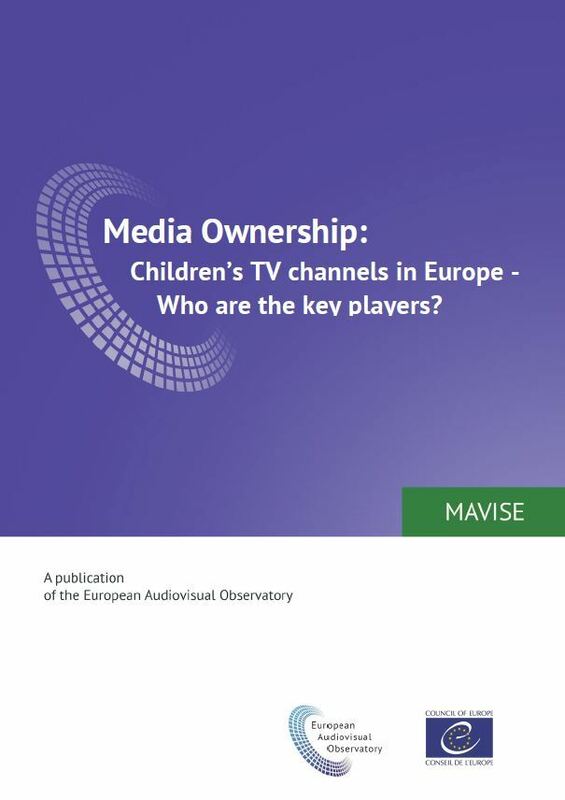 The data related to the offering of children’s TV channels in terms of establishment, availability and type of ownership is sourced from MAVISE, the database on TV and on-demand audiovisual services and companies in Europe managed by the European Audiovisual Observatory, while the datasets covering the audiences are provided by Eurodata TV Worldwide. A total of 329 children’s TV channels (including varying linguistic versions) are on offer in Europe, accounting for 6% of all national and international TV channels established in Europe. One children’s TV network features on average 2.6 linguistic versions. Just over half of the children’s TV channels were established in the United Kingdom (56%). Other main countries of establishment are the Czech Republic (9%), Russia (7%), the Netherlands (6%), Italy (5%) and Germany (5%). Only 20% of the children’s TV networks have multiple TV channels by linguistic version but they account for up to 70% of all children’s TV channels in Europe. Around 85% of the children’s TV networks in Europe are owned by the private sector, with roughly two out of three private networks of European origin. The average daily audience share for children’s TV channels in Europe reached 5% in 2015. Markets such as Romania (7.5%), Italy (6.4%) and Hungary (6.3%) showed a higher preference for children’s TV channels, while markets such as Slovakia (0.1%), Latvia (0.2%) and Switzerland (1%) indicated a greater popularity for other channel categories. The top eight US children’s TV networks, encompassing over 80% of US ratings for children’s channels, are: Disney Channel (27%); Nickelodeon (16%); Cartoon Network (10%); Disney Junior (8%); Boing (8%); Nick Jr. (5%); Boomerang (5%); and Cartoonito (3%). The top four pan-European US groups comprising over 90% of the US ratings for children’s channels are: Walt Disney (39%); Time Warner (26%); Viacom (23%); and AMC (4%). The groups mixed direct investments in new or existing businesses, with joint ventures and strategic partnerships, in their European expansion quest, in order to carry their brands across the European borders.